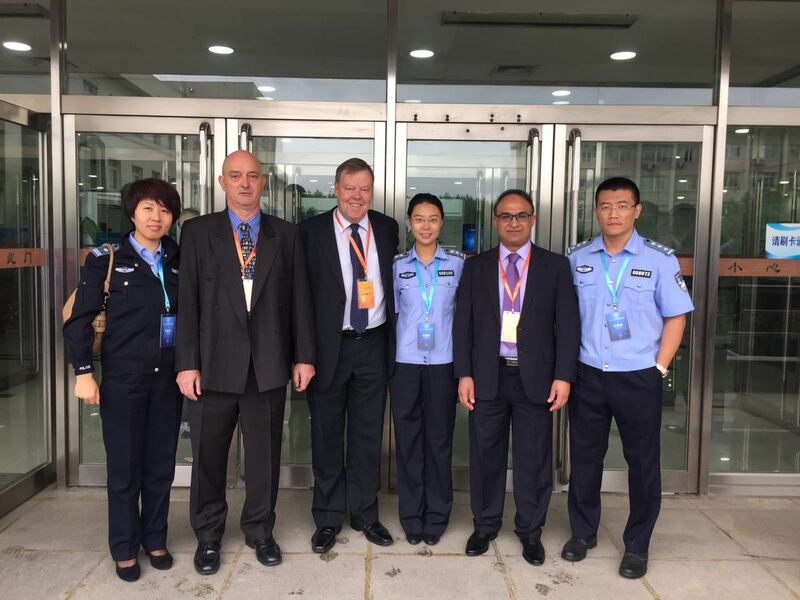 In September, Dr. Tanveer Zia (the course director for the DIT and the lecturer for our Digital Forensics short course) was invited by the National Police University of China to deliver a keynote address on digital forensics as part of the International Forum on Police Technology Informatization in Shenyang, China. 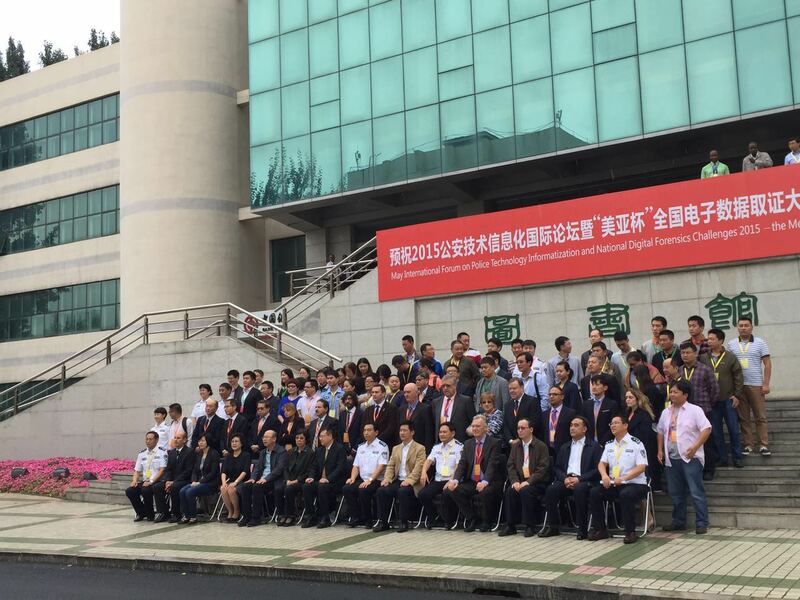 Experts in policing, high-tech crimes and digital forensics from over 14 countries participated in the forum. 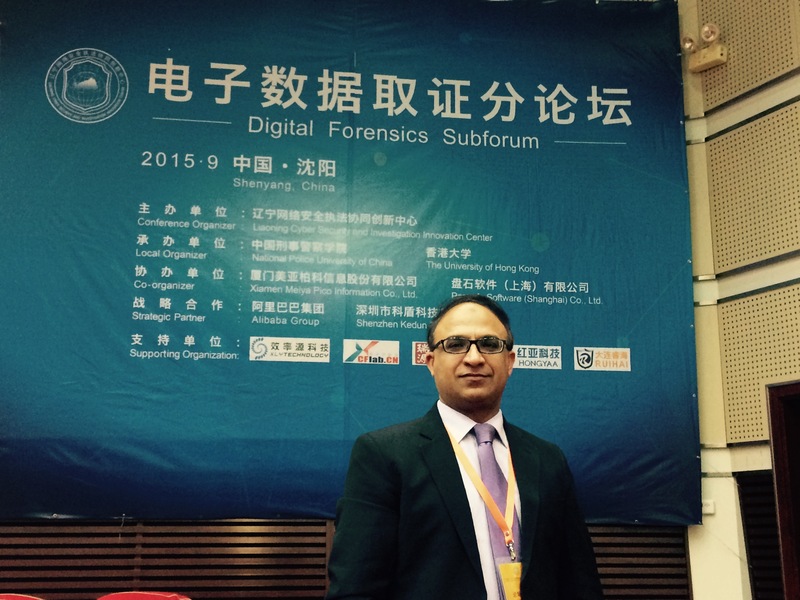 Tanveer’s keynote set the tone for rest of the conference by providing basic overview of digital forensics. Digital forensics, as we’ve previously pointed out in our short course and blogposts, is considered a young branch even in computer sciences, with wild cards such as social media and the limited amount of resources and tools available for social media forensics. Cybercrime, also a new field, can make things quite difficult due to the lack of precedents in justice systems around the world. Also covered in Tanveer’s address were the principles of digital forensics, required skills, general processes and how digital forensics investigators interact with other officers, email, social media, cloud and network forensics, and the digital forensic investigator’s role in testimony. You can see a couple of pictures that were captured on the day below. We’re now halfway through the third week of the Digital Forensics short course. Next week, we’ll be talking Cloud and Mobile forensics, and in two weeks’ time, the exam will be available. There’s still time to complete the homework before sitting the exam, so if you’re really set on the certificate, please ensure you login and check the requirements!